This is my 4th lens (and my 2nd L-series EF Lens) and it is probably the most popular ultra wide angle (UWA) lens from Canon. Sitting on Canon’s EF "L-Series" lens hierachy, this UWA is a favourite "Upgrade" for most Canon Users when they can’t get enough out of their existing kit lens. When used on bodies with APS-C sensors (x1.6), this lens gives you an increased wide angle from 27-64mm (EF-S 18-55mm give you the wide equivalent to 28mm on 35mm sensors) and making this a good walkabout lens. I used this lens on my EOS 500D for the longest time as my full time lens before I bought my full frame EOS 5D Mark II. The focal range became super wide once mounted on my 5D but the telephoto end became far off and not exactly usable as a walkabout lens on full frame camera. (which I bought the EF 24-70mm F2.8L USM later as the main lens) This lens being a L-Series EF Lens, the build quality is superb and solid. It is also one of the lightest & smallest zoom lens in the "L" family. 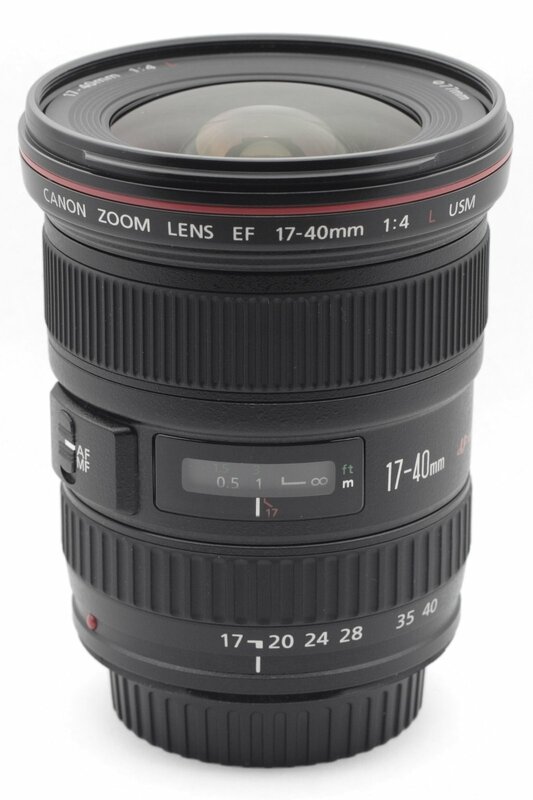 * picture: EF 17-40mm F4L USM. Image quality suffers slightly at F4 where the center is sharp and the corners are slightly soft. However, from F5.6 onwards, every details is sharp from corner to corner. This lens is moderately priced – within reach for most enthusiasts or advanced amatuers thus explaining its popularity. The focusing are super fast and accurate while the ring USM ensures silent operation on the internal focusing lens body. 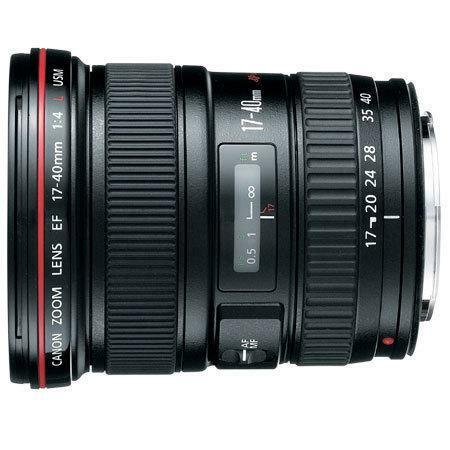 There is a bigger brother who are twice as fast – the EF 16-35mm F2.8L USM), but cost twice as high too, so before buying your UWA lens, do take into consideration the applications you are going to use for. As for me, I selected the EF 17-40mm f4L USM over the EF 16-35mm F2.8L USM was purely the fact that I do landscape shots during the day most of the time and I use tripod for almost every night shoot. So this is not a problem at all. For tight indoor/interior shoot or handheld, I use flash to bounce off light so F4 is not exactly handicapped too. For the attractive price and ultra wide angle, I selected this lens. Did I also mentioned that this lens produce great colors too? – Lens Hood is EW-83E (Supplied in Box). – Average lens for Infra-red Photography (IR) portraits. Slight hotspotting appears at 17mm & 24mm stops. – Ring Ultrasonic Motor (USM)/ (Not Micro USM) – the real deal. – Focal Range when used on bodies with smaller APS-C sensors – 27-64mm. – Sharp photos with great color reproduction. – Great walkabout lens for my 500D & 350D-IR. – Super Wide when used with my 5D Mark II. – L-Series Build Quality & Construction. – The supplied hood EW-83E is pretty useless and the size makes it hard for storage. – Useless leather lens pouch that came in the Box.